Taken at Sausalito Marina, December 2012. The sun was down; dusk was fading. 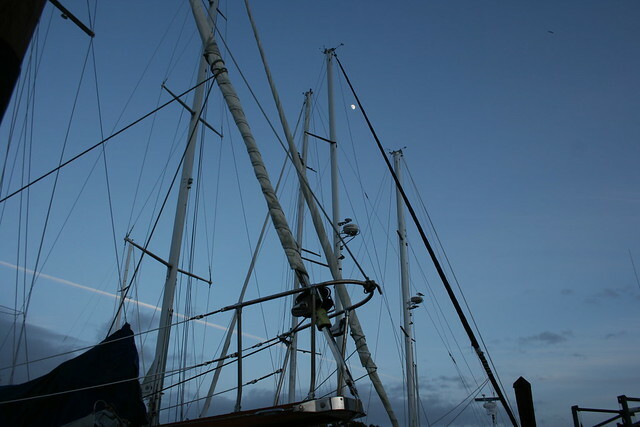 This entry was posted in Photos, Poetry and tagged contrail, dusk, haiku, masts, moon, sailboats, sky. Bookmark the permalink.